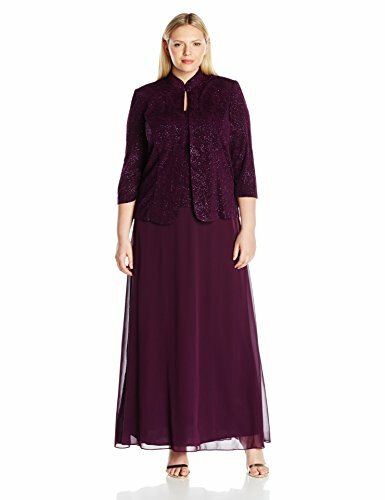 This dress is a mock two-piece jacket dress with a mandarin neck and 3/4 sleeve jacket. The sleeveless dress is made with glitter jacquard knit and chiffon and the jacket is made with the same glitter jacquard knit as the bodice. This is a great style for a Mother of the Bride or Groom, Special Occasion, or Formal Event.